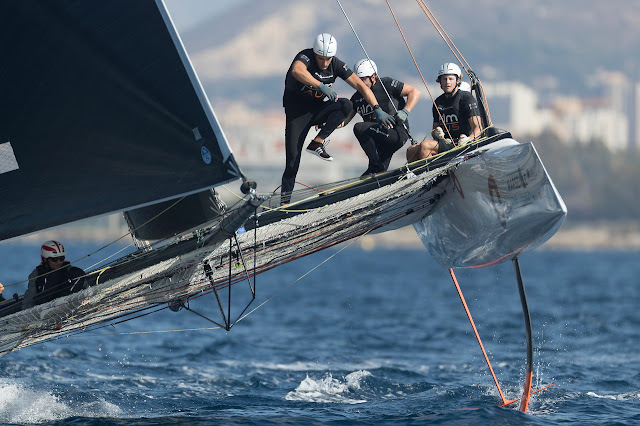 Champagne for Zoulou, caviar for Realteam Victors were crowned on this final day of Marseille One Design, also the last day of competition on the 2017 GC32 Racing Tour. Esteban Garcia’s Realteam, skippered by Jérôme Clerc, is the winner of the 2017 GC32 Racing Tour. Following her victories at Riva and a ‘come from behind’ win in Calvi, Realteam’s third place at Marseille One Design was enough for the Swiss team to claim the overall Tour prize in 2017. Six points behind was American Jason Carroll’s Argo, just one ahead of Naofumi Kamei’s Mamma Aiuto! from Japan. 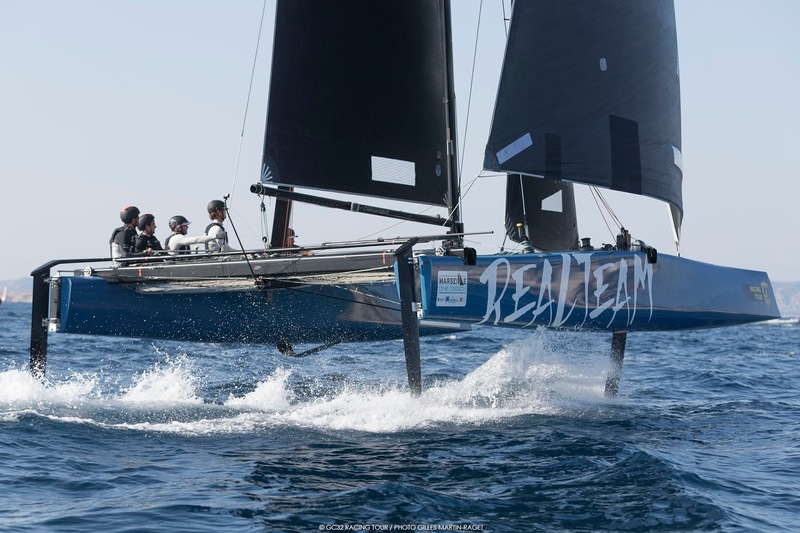 For Realteam’s second season on the GC32 Racing Tour, Clerc and French coach Daniel Souben picked up new crew from Team Tilt and from Team ENGIE. “Last year we didn’t have enough experience, so we got some experienced guys and practiced a lot,” said Clerc. “We made some good steps forward.” Their crew included Cedric Schmidt, Bryan Mettraux, Loic Forestier, Christophe Carbonniere and Remi Aeschimann. The final regatta of the season had a clear and definite winner: Erik Maris’ Zoulou. With 11 races sailed at Marseille One Design, the French team won all but two, including a perfect scoreline over the weekend. Today in winds of 8-9 knots, the boats were sailing upwind under gennaker and could foil fully downwind. 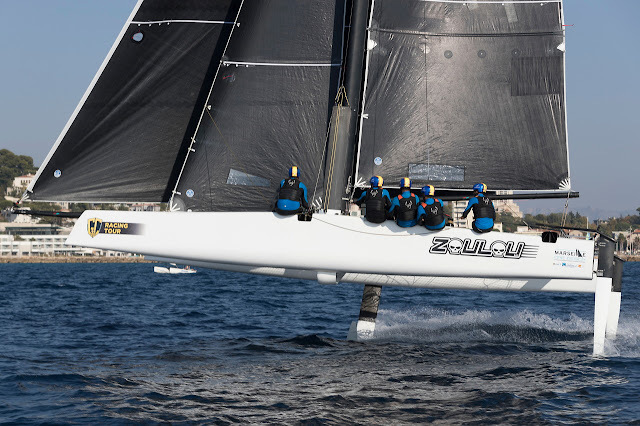 In this, Zoulou led the seven GC32s around every mark on Marseille’s Rade Sud. 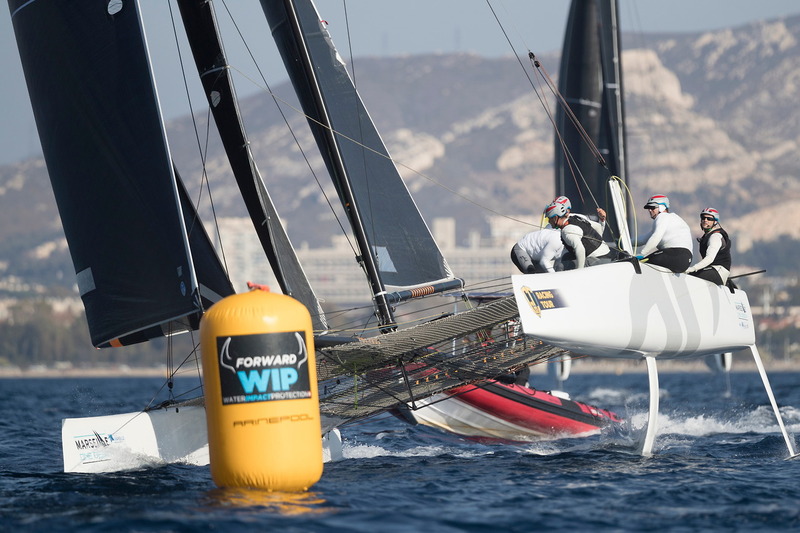 Aside from Psarofaghis’ own talent, Zoulou benefitted from her crew coming from the Groupama Team France America’s Cup crew, many also having sailed with skipper Franck Cammas on NORAUTO when they won both the GC32 Racing Tour and Marseille One Design in 2016. 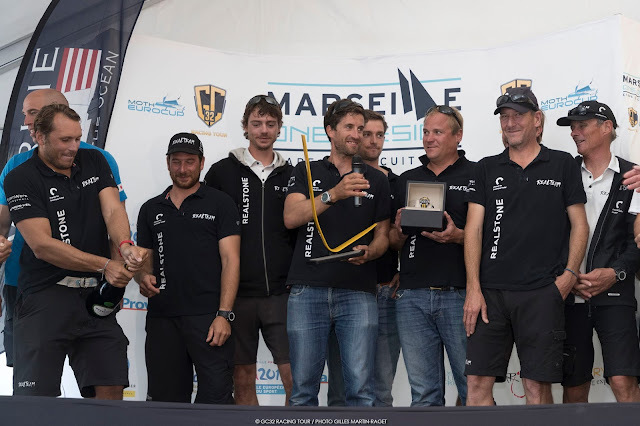 Receiving the most silverware at the 2017 GC32 Racing Tour/Marseille One Design prizegiving, held in the hospitality lounge on the Marina Olympique du Roucas Blanc, was Naofumi Kamei and the crew of Mamma Aiuto! 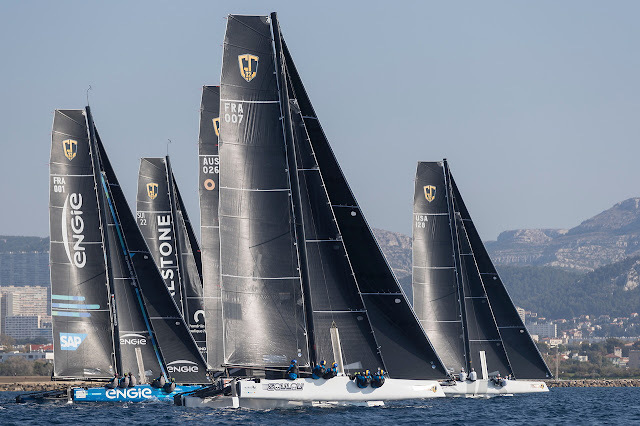 With Jason Carroll’s Argo and Pierre Casiraghi’s Malizia – Yacht Club de Monaco scoring deep results at Marseille One Design, the Japanese GC32 claimed not just the Owner Driver trophy for Marseille One Design, but also the the 2017 Owner Driver Championship prize outright. Mamma Aiuto! also won the ANONIMO Speed Challenge at Marseille One Design, for which they received an Anonimo Nautilo watch. 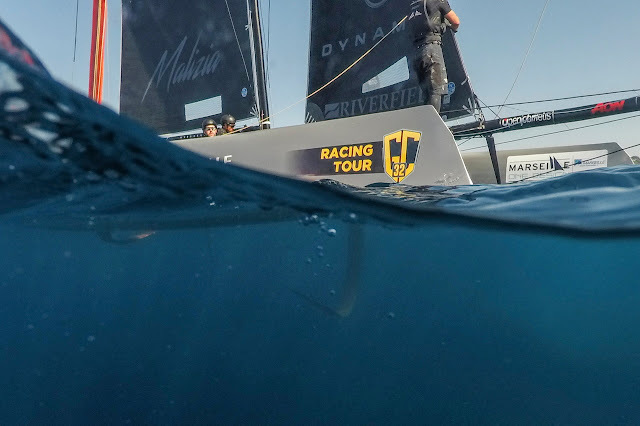 Realteam was presented with a limited edition Anonimo Nautilo GC32 Racing Tour watch, especially finished in the black and yellow colours of the GC32 logo. Also ‘second behind Zoulou’ today were Argo and Simon Delzoppo’s .film Racing in today’s first and second races respectively.